One half of '90s rap duo Kris Kross is gone. Chris Kelly, otherwise known as "Mac Daddy" died Wednesday of an apparent drug overdose, at just 34 years old. Kelly and his other half, Chris Smith (a.k.a. "Daddy Mac") were barely teenagers when they were signed to a recording contract at So So Def in 1991 and exploded onto the pop charts with their hit "Jump" a year later. Not only was their music hugely popular but their signature style - remember those backwards jerseys and jeans? - influenced millions of fans who enthusiastically copied their look. Kelly fully embraced the urban style even after the group's popularity waned, and revealed in an interview with Yahoo in January that he still wore his clothes backwards. Kelly explained the reasoning for the trend: "It was kind of a collective idea. We was all just sitting around thinking of something to do different. It probably could have been Jermaine [Dupri] that said, 'Hey let’s put our pants on backwards.' I was the first one to do it, and I’m still the last one to still be doing it. We went to the mall and got so much attention. We was like, 'Ok, this is it.’ And it just went from there." And although we may never see a complete revival of their iconic style which was an emblem of '90s fashion, we look upon it fondly. 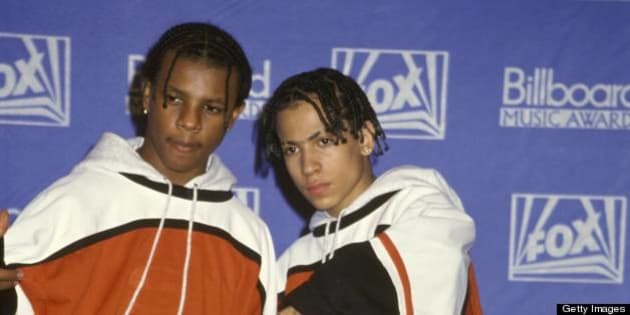 In honour of Chris Kelly, we put together photos of some of Kris Kross' best fashion moments.